Forty podcast episodes ago, I made Bart sit through back to back showings of the first two Hobbit movies. It was a grueling experience to say the least and when it was all said and done Bart swore off all future trips to Middle Earth. But when The Battle Of Five Armies arrived in theaters, we made an about face and decided that, goddammit, we would finish what we started! I'm actually pretty glad we did. 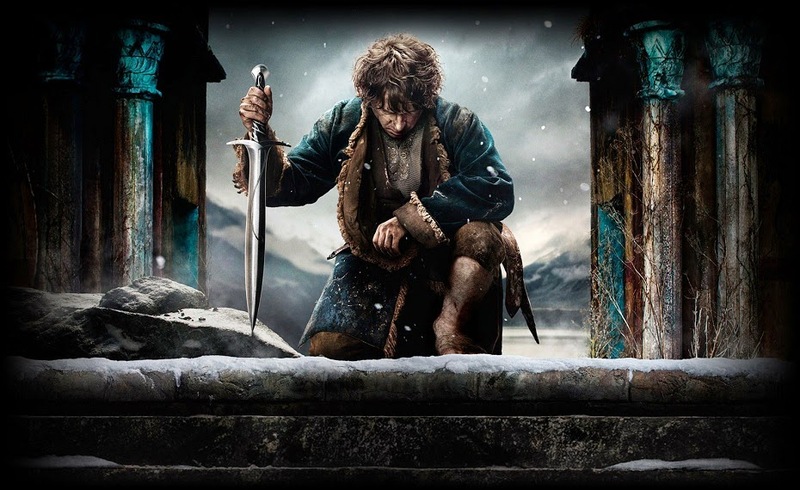 Make no mistake, the third entry of The Hobbit series still suffers from many of the same ailments as the first two, including massive bloat, an over-reliance on CG and some serious structural problems. We were all annoyed with The Desolation Of Smaug's needless and incredibly unsatisfying cliffhanger ending, and the hurried siege of Laketown in opening of Five Armies only reinforces the incredible miscalculation that Peter Jackson made in stretching two movies out into three. On the other hand, the unintentional comedy factor in this movie is simply off the charts. People have been questioning why Legolas was shoehorned into these movies, and the answer is apparently "So he could perform acts of physics-defying hilarity while battling cartoon orcs." There's a lot of stuff in this movie that makes very little sense (I didn't know that Graboids came from Middle Earth!) and the first half plays out rather dull, but I have to admit that this is also the first movie of the trilogy that manages to make Martin Freeman's titular Hobbit at all compelling. And for the first time yet, I actually walked out of the theater with a feeling that I had been honestly entertained. I'll be traveling over the holidays so this may end up being our last podcast of 2014. Bart and I are hoping to try some fancy Skype trickery in order to talk holiday movies, including the uneven remake of The Gambler starring Mark Wahlberg. Either way, we'll be back in 2015 with a brand new, twice a week structure, including our all-news podcast The Daley Planet, so titled by the will of the masses.